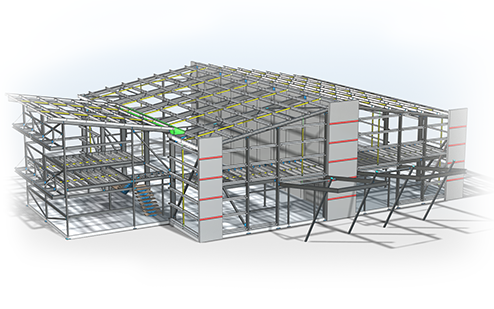 MODEL-IT use the most up to date 3D technology to create steelwork detail drawings and fabrication, which meet our clients’ specific requirements and we have successfully completed fabrication projects in a diverse range of structural steel applications. cutting profiles ( DXF) or materials billing as required. Working in conjuction with engineers, steel fabricators and architects ensures all work is carried out to the required standards. General arrangement Erection drawings containing Full site installation parts list with bolts. 3D pdf of CAD assemblies that can be rotated, zoomed and measured on any computer.